Home > Travel > 8 Reasons To Go To Seoul, The World’s Most Underrated Tourist Destination! We are currently in Seoul, South Korea, and loving it! And it’s made me wonder… How come I barely know anyone that has been here? 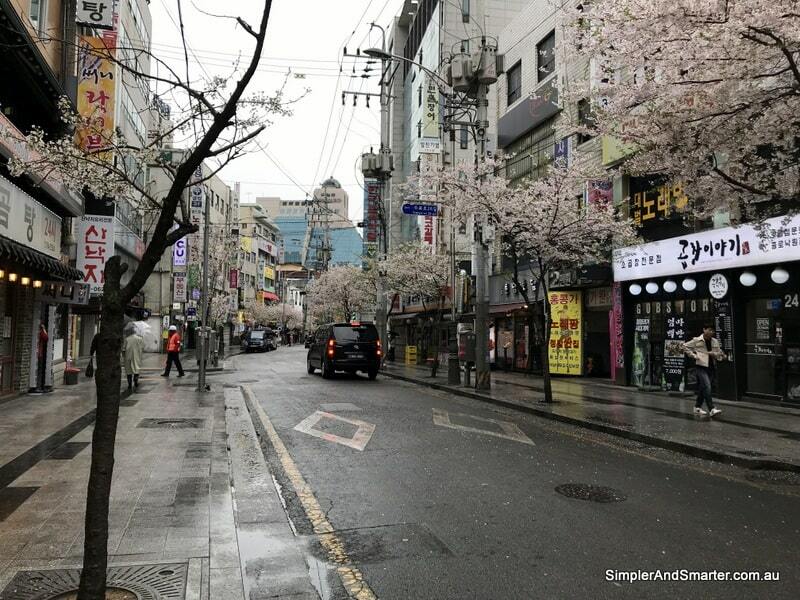 Seoul is a city of 9.8 million people and the capital of South Korea. It’s modern, easy to visit and full of people, attractions, great food and atmosphere. It’s well hooked up with flights to the rest of Asia, and there are flights beyond this as well. It did take us a long time to get here – an eight hour flight to Kuala Lumpur and then 6.5 hours on to Seoul – but there are quicker options. But yet, we don’t see many other foreign faces. Could it be that Seoul is the most underrated tourist destination in the world? There are many things to do in Seoul. In fact, we started with only four nights booked in Seoul. We then extended it to seven after reading more and, in the end, spent all our nine nights in South Korea in Seoul. And this is after I spent two weeks here previously. We did not run out of things to do. Seoul is an awesome city where they obviously put effort into making great areas and activities for their own residents. It also has a long and interesting history. Between these two things, there are many things to do. As an added bonus, many of these attractions are free or very cheap. We visited the National Museum, the War Memorial of Korea, the Children’s Grand Park, the National Folk Museum and more, all for free. 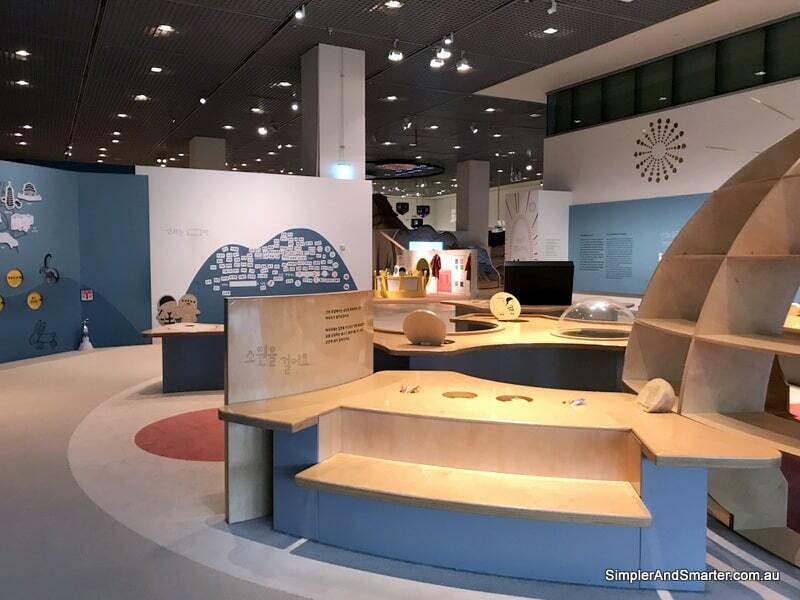 If you are travelling with kids, all of these also have an attached (but separate) children’s museum which is also free in all cases but the one at the Grand Park. In fact, the only attractions we paid for are entering the two main palaces – Gyeongbokgung and Changdeokgung. These are only 3000 won for adults and 1500 for kids and, in fact, Gyeongbokgung has an elaborate changing of the guards ceremony that you can watch for free. We also paid to go to the big theme park, Lotte World. That is it. There’s also many places to enjoy and hang out like the Cheonggyecheon stream which is an area that has been restored to a beautiful green space running through the city or Seoullo 7017 which was an elevated road and now is a cool path through the city with many random attractions on it like pianos, trampolines and pop up museums. In fact, there seemed to be an Indian festival taking place the first time we walked along it! One of the things we love about our home city of Melbourne and the Fitzroy area where we live is all the random, awesome quirkiness of the things going on around our area – Seoul has this too! It’s an easy place to get around thanks to a great public transport system which is well hooked up to the airport as well. Initially, we used the subway to go everywhere as it is easy to use. However, we have since discovered the buses can be even better. They are usually less crowded and there aren’t a lot of stairs to navigate like in the (sometimes huge) subway stations. With the help of Google maps, they are also easy to use. Either way, you can get around very easily and for a great price too. Korean BBQ – you know you want some of this! There’s fabulous food in Seoul and it’s obvious many of Seoul’s inhabitants take food seriously too – I saw a few huge massive lines at some food stalls! There is great food from the well known Korean BBQ (definitely have to do this!) to market stalls specialising in one dish. Everything we ate was tasty, filling, a great price and enjoyable. I thought this after my last visit in 2006 and nothing has happened to change my opinion. If you look like you need help at all, someone helps. Even if they speak just one word of english, they will do their best. From directions to helping us get the waitor’s attention in a restaurant to giving up seats on trains for our kids, help is immediate, friendly and not at all over bearing. On my first visit (before kids), we even had people at a nearby table send over food they wanted us to try! And many people say how happy they are that we chose to visit their country. People seem more relaxed than nearby Asian countries, like in Australia. We have felt very comfortable in Seoul with our three (loud) kids currently aged 2, 7 and 8. People are very accommodating and always smiling and helpful. They particularly love our blonde haired, blue eyed toddler but all the kids are accommodated and enjoyed – not just endured like it can feel like in Australia. This was especially good after our recent visit to Japan where we felt on edge and stressed the whole time trying to keep our kids quiet. There’s also many great attractions for kids with childrens museums seemingly everywhere! The Childrens Grand Park is great and even has a free zoo. We saw many playgrounds. Our kids highlight was Lotte World but there is plenty to keep their interest. Our 7 year old son has a keen interest in the world and he loved learning about their war history and spent hours soaking in the War Memorial and enjoyed the DMZ tour. 6. There are cherry blossoms! Japan may be the best known place with cherry blossoms, but you can also see them here in Korea without the crowds and expense. We saw them throughout our first week in Seoul and they are fabulous. There are festivals and special places to see them but you can also see them just walking around. The best places in Seoul to see cherry blossoms that we found were around Lotte World, the Children’s Grand Park and Yeouido Park (they have a cherry blossom festival). I found it even better in nearby Suwon at the Hwaseong Fortress which is just a 30-minute train trip from Seoul station. The great public transport system is not just confined to Seoul and you can easily head to many places in the country on a day trip from Seoul. We visited Suwon, Incheon and my son and husband also did a DMZ tour (I have done it before – on both sides of the border!). There’s also countless other options. Going to the DMZ and Panmunjom, in particular, is definitely recommended and the most interesting experience I had ever had until I visited North Korea itself a couple of years ago. Unfortunately, Panmunjom is shut to visitors at the moment but it is meant to open again soon (note that kids can’t visit Panmunjom but can go to other parts of the DMZ). The cherry on the top of all of this is that Seoul is affordable and great value. While it may not be cheap, like countries in South East Asia, everything is great value. We found it easy to get a meal from 5000-8000 won, train trips are about 1100 won and many attractions are free, like stated above. We also found one of our favourite city hotels in the world – Orakai Insadong Suites. We paid AUD$175 a night for a three bedroom apartment complete with full kitchen, washing machine and dryer and facilities like a great pool area, hot baths and saunas and included breakfast in the best location in Seoul for tourists. A fabulous deal for our family. We budgeted AUD$150 a day after accommodation for our family of five and never came close to meeting it, we were always well under. This may seem like a lot but we like to be comfortable, eat well and make life as easy as possible. Seoul is an amazing, modern, historic, fun and easy city to visit. I really can’t recommend it enough. 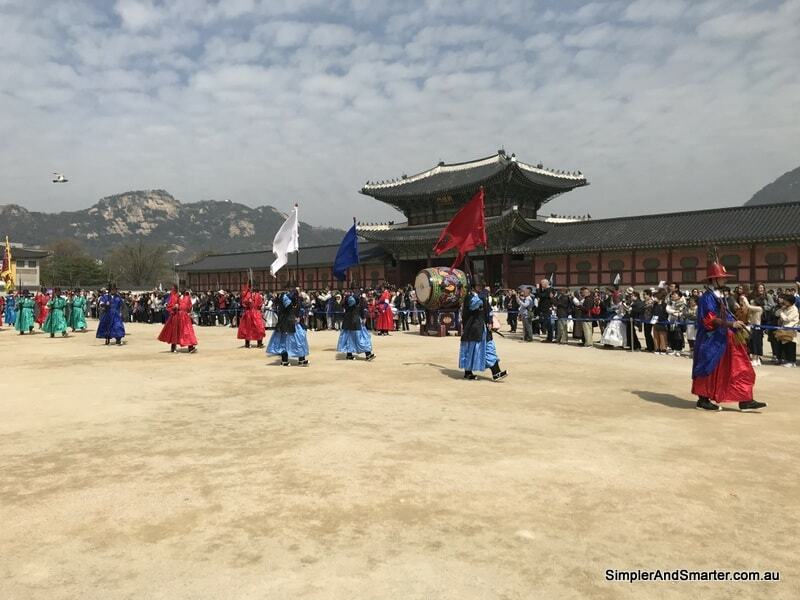 Yet, it’s rarely mentioned in traveller circles which perhaps should be reason #8 to visit Seoul – there aren’t many tourists! From the interesting range of attractions to the beautiful cherry blossoms to being an easy place to visit with kids, you really should add it to your list! Has Seoul been on your radar? Is it now?